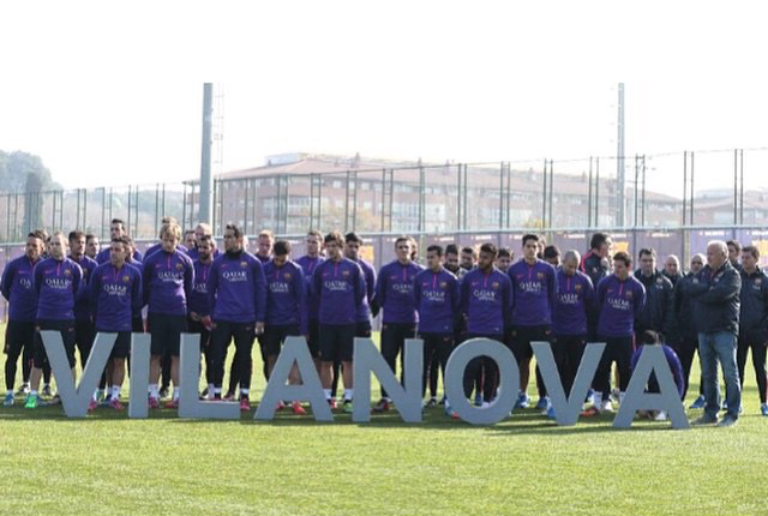 Barcelona Football Club has named it’s training pitch at Ciutat Esportiva Joan Gamper facility after former coach, Tito Vilanova. Recall that Tito who succeeded Pep Guardiola died April last year at the age of 45 fter a long time battle with throat cancer. Tito’s wife, Montse Chaure who was present at the event today appreciated the honour. “Tito loved coming here. He said it was a privilege to train the best team in the world and he loved the players. This is the best way to remember him- everyone together and with a smile.” She enthused. NextHenry Thierry begins coaching role at Arsenal. Victor Moses included in the Fastest Players In Premier League list.